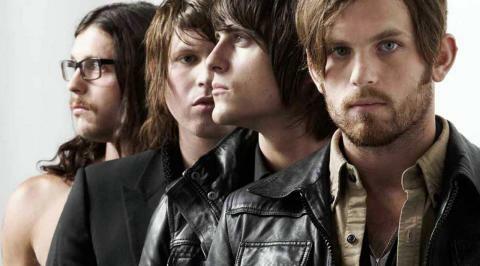 Over the past several days, Kings of Leon shared a series of brief videos over their online socials. One posted yesterday (Aug. 21) flashes the titles of their six previous LPs and ends with the promise, "7 is coming." The newer video, shared today (Aug. 22), features a sequence of eerie and seductive images set to an ominous hum and a heartbeat-like pattern. It ends with a voice saying, "Walls come down." A rep from the band tells Billboard that Walls is the title of the forthcoming album. Stereogum points out potential evidence of a lead single over on the All Access Music Group's database of songs and albums impacting Triple A radio. According to the registry, a Kings of Leon song called "Waste A Moment" impacts the format on Sept. 12, via RCA. Kings of Leon's last full-length was 2013's Mechanical Bull.